Though measurement scientists chose the Planck constant as the basis for redefinition, other constants of nature can also be used, if for no other reason than to provide a check that the Planck constant definition is correct. For decades, an international collaboration has been working on a complementary strategy for defining the kilogram that involves counting the number of atoms in an almost perfectly round, softball-sized sphere of silicon-28 atoms. The goal: a more precise determination of the Avogadro constant (NA), which relates the number of atoms or molecules in a substance to its mass. A typical material is composed of a huge number of atoms and molecules. The Avogadro constant (symbolized as NA) makes it easier to express the huge amount of atoms or molecules in a material. In the current SI, the Avogadro constant (NA) is technically defined as the number of carbon-12 (carbon atoms with a total of 12 protons and neutrons) in 12 grams. That number is equal to about 6.022 x 1023 carbon-12 atoms. This quantity constitutes one mole. But the Avogadro constant is meant to be applied to any kind of atom or molecule or other kind of substance, whether it’s a hydrogen molecule, a carbon atom, or a golf ball. A mole of any of these substances equals 6.022 x 1023 of its constituents (in this case hydrogen molecules, carbon atoms, golf balls). Close-up of a silicon sphere similar to the ones used in Avogadro constant measurements. Since the Avogadro constant's current definition depends on a substance's mass, scientists reasoned that they could exploit this relationship by working backwards, from a well-defined NA to the kilogram. First, though, they needed to define NA with greater precision — with a relative uncertainty of just 20 parts per billion — in order for a new kilogram definition based on the Avogadro constant to compete in accuracy and reliability with the current standard. Beginning in the early 1990s, members of a worldwide collaboration called the International Avogadro Coordination (IAC) — now known as the International Avogadro Project — have been working to describe this number with sufficient accuracy and precision. Instead of a chunk of carbon-12 atoms, they use a uniform crystal of silicon-28, carefully machined into spheres with a mass of 1 kg. With precise geometrical information — the mass and dimensions of the sphere, as well as the spatial parameters of the silicon's crystal lattice — they can use the well-known mass of each individual silicon atom to calculate the total number of atoms in the sphere. And this information, in turn, lets them determine NA. For the SI redefinition, several measurements of silicon spheres were used to determine a value of NA at 6.02214076 x 1023 mol-1 (constituents per mole). Provided by scientists in the International Avogadro Coordination, the combined measurements had an uncertainty of 10 parts per billion, exceeding the earlier requirements. Truly a collaborative worldwide effort, the work was done by researchers at PTB in Germany, NMIJ in Japan, NIM in China, METAS in Switzerland, NIST in the U.S., INRiM in Italy, BIPM in France, and IRMM in Belgium. 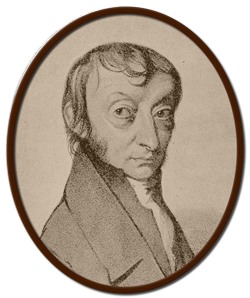 Amedeo Avogadro (1776–1856) was a law-trained Italian scientist whose 1811 paper, published in the Journal de Physique, included his famous hypothesis that equal volumes of all gases, under the same temperature and pressure conditions, contain equal numbers of molecules. The Avogadro constant was named in his honor. In the SI redefinition, the newly refined Avogadro constant provides a new recipe for realizing the kilogram. NA can also be used to obtain Planck’s constant using the well-known values of other constants. Correctly calculating the number of atoms in a 94-mm diameter sphere requires extraordinary materials. To minimize uncertainties, the Avogadro project scientists rely on measurements taken with what may be the roundest objects in the world: silicon spheres whose surfaces are so smooth that if they were blown up to the size of Earth, the distance between the tallest mountain and deepest ocean would be just 3–5 meters (about 10–15 feet). These individual crystal balls are highly enriched, consisting of 99.9995 percent silicon-28 with a minimum of the other isotopes found in naturally occurring silicon. This purity simplifies the counting calculations by ensuring that most of the atoms have identical masses, and the sphere’s crystalline structure gives its atoms a predictable pattern of spacing. Devices known as optical interferometers have allowed researchers to measure the sphere’s width to nanometer precision, while the technique of x-ray crystallography provides images of the silicon crystal's structure. These super-spheres are shared by the teams within the international collaboration. They each cost about $3.2 million and had to be handcrafted by a master lens maker. The Kibble balance and Avogadro project measurements are not so much competing with as complementing each other to define the kilogram. Measurements from both experiments were used to determine the final value of h for the redefined SI. That final value is 6.626070150 × 10-34 kg⋅m2/s. If you're interested in learning more about NIST's work with the Avogadro constant, check out our story on redefining the mole.